DO YOU BELIEVE IN "CONDITIONALISM"? I am very much aware that words have meanings and that they sometimes have multiple definitions and can be used to describe various aspects of a subject. However, I am also very much aware that often men use words to which they attach particular meanings when they use them in the discussion of various topics. This is especially true in the realm of the discussion of theology and its related doctrines. We should always be as precise as we can as to what we mean by the use of particular words or phrases, yet we must always give one another the benefit of hearing all that each has to say about a particular idea even when they may use words to which we would attach certain meanings to which they may use differently to describe certain doctrines which they may or may not believe in. I learned long ago to be careful in saying whether or not I was a “Calvinist” when asked to define my basic theology. 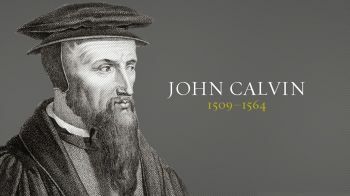 Generally most who ask this question are somewhat versed on what the commonly received understanding of Calvinism is, (as it is contrasted with “Arminianism” in the TULIP acrostic) but there are many who have been taught that Calvinists are those who believe what John Calvin taught and practiced. Others have been taught that Calvinists are as close to being the devil as anyone this side of Hades could be. So, I am reluctant to say I am a Calvinist, even though I most certainly would deny having any sentiment towards Arminianism. Many would label me a Hyper-Calvinist or an Antinomian. Again, I am reluctant to take either “label” since I am seldom certain what the “labeler” has in mind by the use of these terms. I am not reluctant to claim either label if by doing so one has a clear understanding that I am not a proponent of the brand of “Calvinism” that is found in most “reformed” circles which in many ways is not practically different from the “Arminianism” which they claim to oppose. Most of those who are “proud” of calling themselves “Calvinists” and trace their noble heritage to the “Protestant Reformation” also believe in laying the lash of the law upon those whom the LORD JESUS CHRIST has set free from the Law of sin and death by constantly reminding them of their “duty” to fulfill the law. They are fond of labeling as Antinomians, those who profess (as I do) that the Christian’s “rule of life” is not the ten commandments or any other written law, but rather, is CHRIST. If by contending for that I become an “antinomian”, then I would gladly plead guilty. However, if they mean by that (usually pejorative) term that I believe that the Christian is lawless I would deny it with all my being. Though the sons of GOD have been set free from the “law of sin and death” we are gladly servants of HIS according to the “law of the SPIRIT of LIFE in CHRIST JESUS” which has forever delivered us from any and all condemnation. HE has written HIS law upon the hearts of those whom HE has called and they cannot escape it nor can they trample it underfoot as the “lawless”. Generally, those who are labeled “hypercalvinists” (by the most proper and dignified, “Calvinists”), are those who deny that the gospel is “an offer”, which men may either accept or reject. These “Calvinists” would also contend that the gospel is to be preached as an “invitation” to all men, indiscriminately to come to CHRIST. Oddly they would also claim to contend that “faith is the gift of GOD” but demand that men have faith as a “duty”. Those who deny that such is the case are again labeled by them with that most awful label that they can conceive of, the dreaded “hypercalvinist”. Again, if that is what a “hypercalvinist is, then I plead guilty with not one bit of reserve. It seems that here again the proud Calvinist has more respect unto the “rank Arminian” who pleads and begs for men to let CHRIST save them that they do with those recoil at the thought of such drivel. However, if they mean by that (most affectionate of labels) that we do not believe that we are to preach the gospel to all creatures indiscriminately then I would deny it. Or if they should say that our heart is not grieved by the fact that some men perish. Paul certainly lamented the unbelief of the Jews and also Agrippa and all who heard him. So it is that various terms can have different meanings according to a man’s point of view and we should be careful to listen to what a man is saying before we cast off all that he says simply because he uses a term differently that we might be used to. This is especially true when we discuss the subject of “conditionalism”. Bro. E.W. Johnson was fond of saying, “because something is predestined to occur does not mean that it does not have to occur”. GOD is not only the GOD of decrees but also the GOD of action. HE will do what HE says HE will do. HE reveals this to us for our understanding since we are creatures of time. Things appear unto us to be unfolding in a time continuum whereas to HIM they are as “tale that is told”. Time is irrelevant to HIM with whom a day is as a thousand years and a thousand years as a day. So we might theoretically discuss the salvation of GOD’s people as already being “done” when HE decreed it. Yet HE is not simply the GOD of “theory” but action which can be and is demonstrated and played out before men in the time continuum in which we are as creatures. We have been “creatures” since our creation and we will always be creatures since we are the product of HIS decree and not of anything which we innately possessed or had any power which has not been given us by HIM. We are quite sure that there has never been an era which is revealed unto men wherein the LORD has not loved HIS elect people nor has there ever been a time when they have not been approved in HIS sight because HE sees them in their union with CHRIST which is described in the scripture as their being chosen in HIM and given to HIM. All of their acceptance with HIM is in CHRIST who is ONE with the FATHER and the APPLE of HIS eye. In accordance with HIS purpose to manifest the glory of HIS grace in the ages to come, HE has created the world, and all of its inhabitants, beginning with the father of us all, Adam. HE has formed every man from the same lump of clay and in order to make HIS glory known in the redemption of those who were in CHRIST from the foundation of the world, HE has ordained that all of mankind (the elect and the non-elect) should fall under the curse of sin which is the result of a broken law. The non-elect are ordained unto destruction for HIS glory even as the elect are chosen in CHRIST for the same. All things are decreed by HIM and must transpire according to HIS own will and purpose. It pleased HIM to subject HIS elect unto the condemnation of the law in order that HE might manifest the glory of HIS grace and mercy in their deliverance out of this condemnation which all men (the elect and the non-elect) equally shared. In the redemption of the elect, HE has not in any wise increased the damnation of the non-elect (by the redemption of the elect,) since they were vessels of wrath fitted unto destruction according to HIS decree from the beginning. However, their just destruction as lawbreakers and haters of GOD, does serve to manifest the glory of HIS grace and mercy in HIS redemption of the elect, who were by nature no different than the worst of them. HE does this by bringing attention to the great contrast (which HE has demonstrated) in HIS treatment of the vessels of wrath and the vessels of mercy. Being under no obligation to save any of Adam’s fallen race, HE manifests HIS mercy by HIS redemption of HIS elect while leaving the non-elect to perish in their sin. HE never leaves them nor forsakes them and HE which hath begun a good work in them will perform it until the final day. All of their blessings are the result of that which JESUS CHRIST has done for them and they at no time in their existence either as the lost sons of Adam or in the revelation of their true identity as the sons of GOD can they of their own power secure favor with GOD by their actions nor do they forfeit it by their inability and error. HE is ever faithful to them and they are those in whom HE works both to will and to do of HIS good pleasure. All of their steps are ordained by HIM who works all things together for their good. HE is often pleased (for their good, and according to HIS purpose) to bring them into the valley of the shadow of death and just as often to deliver them from the same. They are convinced of their own sinfulness and can never lay any charge before HIM as to their own temptation or disobedience, knowing that such is the result of their own depravity. Yet HE so continually works in HIS own children so as to cause even their own disobedience to ultimately work for their benefit. HIS mercies are new every morning and HE sustains them in the light and in the darkness. HIS hand of deliverance is often seen in the exhortations and admonitions which HE lays heavily upon their minds and hearts through the preaching of the word of GOD and the ministry of the brethren one to the other.
. That elect Bride in which HE has always delighted, shall be presented before HIS FATHER’s face as a “spotless Bride”, cleansed by HIS blood and clothed in immortality as the fruit of HIS resurrection. And so, shall we ever be with the LORD. So we do believe that the “salvation” of GOD’s people is “conditional”. The conditions which must be met are those which HE has designed. Something cannot be saved until it is lost. HE has ordained that those whom HE has loved in CHRIST before the foundation of the world become lost in trespasses and sins in order that HE might “save” them out of it. Sin is a very pervasive enemy which must be destroyed because GOD has decreed that JESUS CHRIST would be the ONE to destroy it. HE has not in any wise failed in that purpose. Now we often hear some use the term conditional in describing what they consider to be a type of salvation which GOD’s people may or may not enjoy. They usually try to divide the salvation of GOD’s people up into two categories: one they call “eternal salvation” and the other which they label “time salvation”. Those who are fond of this terminology generally ascribe man’s “eternal salvation” to the work of GOD alone. Then they shift gears and speak about man’s “time salvation” as that which totally depends on the man himself to either enjoy it or in some cases to be totally devoid of it. All of the “salvation” of GOD’s people occurs in time. Some say that the elect have “always been saved”. I understand the sentiment they are trying to convey, which is generally that there has never been a time when GOD did not love and approve of HIS people. We share that sentiment but find the statement “always saved” to be a contradiction of terms. It was not necessary for those who were considered “in CHRIST” before the foundation of the world “to be saved”. They were not yet “lost”. Men were “lost in trespasses and sins” in “time” and redeemed in the same “time”. All of the blessings of salvation are visited upon them in time and they shall dwell with CHRIST in the “ages to come”. GOD’s decrees cannot be measured in “time” nor are they in any wise limited by the same. Yet the entire consciousness of HIS creation can only be measured in time. HE reveals to us HIS truth in a manner in which we as creatures can grasp. HE often speaks of HIMSELF in terms that convey HIS truth that are not literally accurate. Such as keeping us under the “shelter of HIS wings” or “holding us in the palm of HIS hand”. So we are quite convinced that as far as the decrees of GOD are considered, they are as sure and certain to occur as if they were already done. Yet we are also convinced that everything which HE has decreed must come to pass in time. HE has formed us as creatures who cannot completely fathom HIS existence in ETERNITY which is not in any wise defined by time regardless of how much time may pass. The conclusion of the matter is that the elect are the recipients of GOD’s mercy and grace which HE has been pleased to manifest in the unfolding saga of their redemption from the sin and darkness to which HE subjected them and they willingly embraced due to their own Adamic corruption. Before the foundation of the world they were each one chosen in CHRIST to be the heirs and joint heirs of CHRIST. They were ordained to receive the benefits which the LORD JESUS CHRIST would procure for them as the sons of GOD, the sheep of HIS pasture. There is no era revealed unto men wherein they have not been the apple of HIS eye and beloved in HIS sight. Their redemption and salvation is the manifestation of HIS mercy and grace which HE has extended to them alone. Being mere creatures of time, they could not otherwise have enjoyed these benefits. All of those benefits which are purchased for them have their application in time which they shall enjoy forever, or as the scripture says in the “ages to come”. 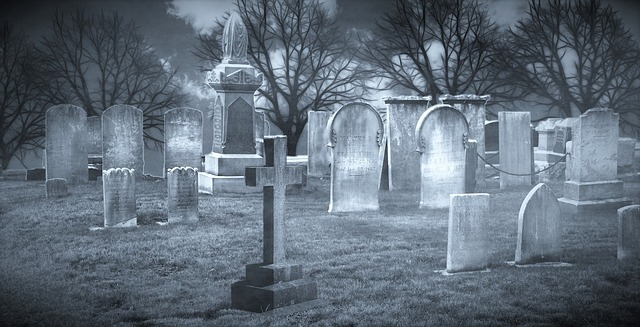 Some describe these “ages to come” as eternity which we do not overtly object to even though we think that properly considered, eternity is the realm of GOD, to which no man can approach. In any event compared to this life in which we now dwell which must come to an end by the hand of death, that life which we have been already given shall have no end, since the source of that life is none other than CHRIST HIMSELF who is ONE with the FATHER and ETERNAL. So, while we say that the salvation of GOD’s people occurs in time, the benefits of it which are begun now can indeed be called everlasting. HE is the ONE who has decreed the necessary conditions of their salvation. And HE is the ONE who has fulfilled them all in their behalf.